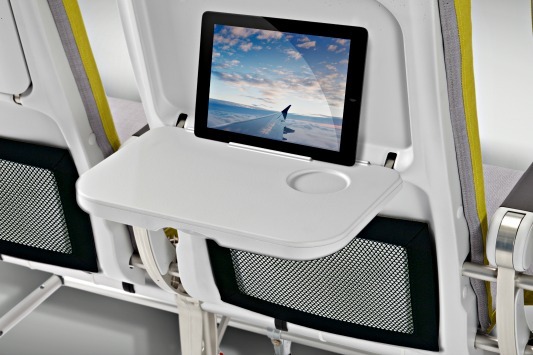 The Philippines' leading carrier, Cebu Pacific (PSE: CEB), becomes the first airline in the Asia-Pacific region to order the SL3510 seat model from Recaro Aircraft Seating for its brand-new fleet of 30 Airbus A321neo aircraft. CEB is expecting to grow its 56-strong fleet to over 80 aircraft, with an expansion plan that includes orders for 30 new A321neos, between 2017 and 2021. "We have always been a firm advocate of innovative and economic solutions that ensure the best travel experience for our passengers," said CEB President and CEO Lance Gokongwei. "It is with this mission in mind that we have decided to equip our upcoming brand-new Airbus A321neos with Recaro SL3510 seats. The ergonomic seats will not only contribute to our valued guests' comfort on-board, but also help us reduce fuel burn with their lightweight, cost-efficient design. We look forward to providing even more affordable and enjoyable flights to all our customers." At around 9 kg (approximately 20 lb. ), the Recaro SL3510 is currently one of the lightest economy-class seats on the market, weighing around 40 percent less than conventional economy-class seat models. Instead of foam, a thinner and much lighter innovative netting material forms the core of the seat's backrest. The weight of the seat is reduced while space is increased: with a thinner backrest, the space between seat rows and consequently the living space for passengers is increased. At the same time, the netting material ergonomically conforms to the shape of the passenger's spine, making the seat very comfortable. "We are honored that an important Philippine airline has selected our award-winning SL3510 seat model for their new aircraft," says Dr. Mark Hiller, Chief Executive Officer and Shareholder of Recaro Aircraft Seating. "Given that both our companies are two strong, reliable brands that have been expanding significantly in the Asia Pacific region, I am looking forward to a mutually very beneficial collaboration." With a subsidiary in Qingdao, China, a service center in Hong Kong as well as a new APAC hub in Hong Kong, Recaro Aircraft Seating has geared up to meet the growing demand of the Asian-Pacific market. According to an estimate from the International Air Transport Association (IATA), in the next 20 years more than half of all air travel will pass within the Asia Pacific region, a 40 percent increase from present rates. This increase will account for two-thirds of global aviation growth, boosting new aircraft sales. "The fact that Cebu Pacific Air will significantly increase its fleet size over the next five years alone reflects the growing demand for flights and the steep increase in air traffic in the region," explains Hiller. "Both our companies are prepared and eager to serve Asia Pacific." For bookings and inquiries, guests can visit www.cebupacificair.com or call (+632)7020-888 or (+6332)230-8888. The latest seat sales can be found on CEB's official Facebook and Twitter pages. Guests may also download the Cebu Pacific official mobile app on the App Store and Google Play. Cebu Pacific's 56-strong fleet is comprised of 7 Airbus A319, 35 Airbus A320, 6 Airbus A330, and 8 ATR 72-500 aircraft. It is one of the most modern aircraft fleets in the world. Between 2016 and 2021, CEB expects delivery of three more brand-new Airbus A320, 30 Airbus A321neo, and 16 ATR 72-600 aircraft. Recaro Aircraft Seating is a globally active supplier of premium aircraft seats for the leading airlines worldwide. The company has more than 1900 employees, including 1000 working in Germany, and operates plants in Germany, Poland, South Africa, the USA and China as well as service centers in Europe, the Americas, the Middle East, Asia, and Australia. Based in Schwaebisch Hall, Germany, Recaro Aircraft Seating generated sales of 367 million Euros in 2014. 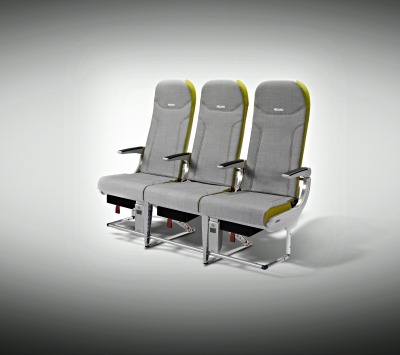 The company ranks among the world's top three aircraft seat manufacturers. Recaro Aircraft Seating is part of the Recaro Group, which includes the independently operating division Recaro Child Safety (child car seats), in Marktleugast, Germany and owns the trademark rights for Recaro Automotive Seating.